Thanksgiving and the Holiday Season are coming up, which means there’s no better time to invest in the proper tools for the perfect slicing and dicing experience. 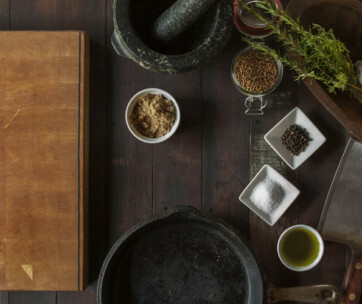 We’ve come so far since the days of our ancestors hacking and whacking at pieces of meat, struggling against tougher cuts, overcooking, and splintered bone, and that’s all thanks to electric knives. Whether they’re corded or cordless, they provide excellent, unrivaled assistance in carving that meat like the lean mean carving machine you’ve always dreamt of being and ensure your big family dinners go off without a hitch. If you don’t want to scramble against the grain in a few weeks time, check out our selections of the best electric knife and make sure everyone is sufficiently satiated this holiday season. Our first and top pick for the very best electric knife is the elegant, glamorous Cuisinart CEK-40 Electric Knife. This baby uses BPA-free stainless steel blades, which provide the highest quality imaginable in cutting and carving anything you please including a bread blade and carving blade for full versatility. The ergonomic handle makes it comfortable and easy to slice – even with the added electrical assistance – while the wooden storage block keeps the knife safe from curious, prying, and absolutely far-too-young hands hurting themselves. It’s also easy to switch on and off. The one-touch button makes it simple and safe for both right and left-handed users, while an additional safety button ensures that there’ll be no tears about grazes, cuts, or even lost fingers. This button is crucial when not in use and, like the compact storage block, will keep your kids safe when they’re helping you out in the kitchen. Powerful, smart, and ready for hours of use, the corded Cuisinart CEK-40 is a great options that’s easy to store, easy to clean, and above all incredibly effective in delivering the best carving results and give everyone the perfect slice of meat straight for the oven to carving board, to plate, filling everyone’s stomachs and having you itching to use it as soon as possible. Be sure to also check out our list of the best knife sharpeners for more great items like this. The Chefman Electric Knife is a massive, robust, piece of machinery that provides remarkable carving capability in a controlled and safe manner. It’s able to more-than-adequately slice meats that include a large roast, turkey, chicken, ham, and steak, but also a number of other food types, including both bread and fruits such as pineapple, melons, as well as vegetables. If you’re somebody who absolutely hates chopping and prepping of any kind, this is the kind of electric knife that’ll transform your kitchen exploits and take them to the next level. The one-touch system makes it simple to use, while the included safety button protects you and clumsier budding chefs from years of wishing they’d been just a little more careful. This safety is further enhanced with a protective box for reliable storage that keeps it out of harm’s way and protects it from blunting and other damages. Finally, the parts – aside from the electrical components, because come on – are entirely suitable for dishwashers, which eliminates the post-meal lethargy and allowing of the dishes to pile up. Sold at an excellent and reasonable price, it’s an electric meat carving knife that will suit you not just over the holidays, but all year-round, too. 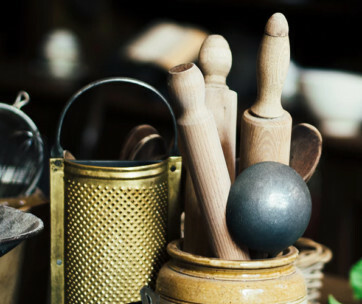 It makes cooking more than just a means to eat, but also a chance to create true art with the carving tools available. Our handy guide to the best meat cleavers features more great products like this. 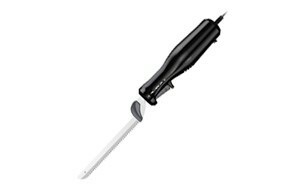 Pick number three is our premium choice for the best electric carving knife that money or any means of currency can buy. The American Angler PRO Professional Grade Electric Fillet Knife may be a little bit of a mouthful, but it’s also a surefire way to evolve your kitchen from a place where ramen noodles are considered God and make it a place where proper food and correct preparation reigns supreme. The motor provides a brilliant twice as much torque as the standard, manual knife, while the additional airflow design within the ergonomic handle means you can carve for longer, without feeling uncomfortable or struggling to deal with the demand. Despite this, it also has a heavy-duty design, which gives you reliability where other knives – electric or not – could very easily fail from the pressure. This ensures simple slicing through larger bones, and don’t end up sending you back to stone age dinner-time practices (we mean, of course, tearing and ripping at the food with your hands). Those who are looking to get as much out of this as humanly possible will be pleased to know it is supplied with a 2-year lifetime warranty, which is always useful. It’s powerful (110 volts), premium (over $75), and comes with a massively flexible – in terms of the range of movement – 8-foot cord, you could do a lot worse than this electric knife, but it’s unlikely that you could do a lot better. Love this product? Check out our review of the best hunting knives for our top picks. The Hamilton Beach Classic Electric Knife is a sleek and smartly designed device that ensures the perfect cut every single time, making you look like the true pro this holiday season, and many holiday seasons to come. Any and all carving and slicing tasks become as effortless as you’ve always wanted them too. This is achieved by a double blade system that doesn’t give the meat – or whatever other food – a moment’s respite, providing a consistent cut without breaking a sweat – save that for when you’re eating. As good as it is as a carving knife, it’s also excellent as an electric bread knife, able to cut your warm, crusty loaf without warping the shape of the bread, and turning your sandwich into something that you’d rather not discuss. We talk about the best thing since sliced bread so what, exactly, do we call the best thing that slices bread? Something to think about. Included in the set, handily, is a carving fork that helps you keep everything in place, and you can store it in a convenient carry case for when you’re not using it, or even if you’re asked to show it off around the in-laws this year. If you’ve spent your life envying how crisp, even and appetizing your mom, grandma or even restaurant cuts end up looking, you now have a way to challenge them like never before. 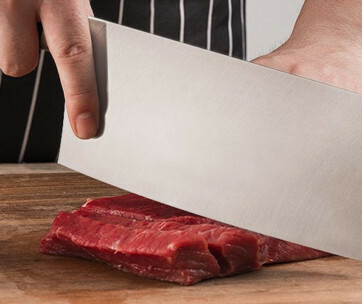 Find more great products like this by checking out our guide to the best steak knives. Our choice for the best value out of every single electric knife we’ve looked at. This BLACK+DECKER 9-Inch Electric Carving Knife comes at an excellent price for anybody who wants to guarantee perfectly carved meals but doesn’t want to splash too much cash. A knife that’s comfortable to hold, it comes with an ergonomic grip handle which ensures controlled but still simple cutting, slicing, and carving. When battling tougher meats and roasts, this is essential for ensuring there’s nothing left on the bone, saving you from wasting food, and making sure everyone is fully satisfied. The safety lock button ensures that there’ll be no accidents whether in use or not, while the knife stand gives you a convenient and unintrusive place to store it out of the way of potential damage or injury. It’s also simple to use as well as clean. The blade release button saves you – or your sous chef – struggling with cleaning, and the blades are dishwasher safe, keeping them in top condition the next time there’s cause for celebration. Whether you need to cut bread, cheese, meat, or even use it for crafts, this versatile and wonderfully reliable knife is great value for anybody who needs a little more bite in their carving exploits. It’s safe, its powerful, with 100 watts ready to cut through pretty much anything you want, and it won’t set you back too much, especially with the holidays approaching. Don’t forget to also check our guide to the best mandoline slicers for more great products like this. And so we’ve come to the end of our odyssey in searching through the best electric carving knives. Finally, this VonShef 10-Inch Electric Knife stands out above other knives due to how darn quiet it is. The low noise and almost-zero vibration mean you can finally sneak into the kitchen long after everyone’s gone to sleep and gorge to your heart’s content. But this isn’t the only reason we’ve selected it. There’s so much more to love. The handle – designed very much like an iron – helps give you excellent control over your carving, as well as any other kind of cutting you need. Like all good electric knives, there’s the opportunity to work with a variety of different foods. To make this possible, VonShef has provided several different kinds of blades, which makes it easy to pick and choose which is the best way to attack whatever’s in front of you – food-wise, that is. In the event that things do get out of control, the dual safety switch ensures there are no holiday disasters, and the blades – yes, every single one – is dishwasher safe for the longest life possible and ensuring you can carve whenever you need. Also included is a smart and useful storage case that keeps the electric knife protected even when you’re not using it, which is good news for the blades’ lifespan, but also to prevent potential injuries to curious fingers. It’s easy to clean, easy to store, and easy to use. We feel like you might have some real trouble picking which one is best for you, sorry about that. Be sure to also check out our list of the best bread knives for more great items like this. Everyone will find an excellent range of uses when buying an electric knife of any kind. However, as always there are features that you need if you want to find the very best electric knife for you. We’ve already given you some options on what we feel is the best value, the best choice, and what we feel is the best overall, but we understand everyone is different. Before you make your decision, make sure you take these features into consideration. 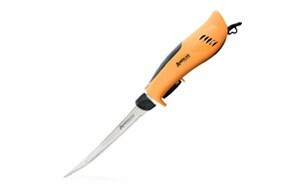 Replacement Blades - If you hate sharpening knives ready for carving, you’re going to love what electric knives offer. Unlike your average blade they don’t require sharpening but instead come with replacement blades that can be installed once the original blade starts to blunt. If you use your electric knife a lot, you should be able to order more blades from the manufacturer or an online marketplace. Safety - Due to the electrical operation, it’s easy to assume that electric knives could be even more dangerous, as a panic sets in if they’re accidentally switched on, and they could end up tearing through the house like something out of Revenge of the Gadgets. Before you buy your electric knife, make sure they have a sufficient safety procedure, whether it’s a quick-stop button or even double switch. For further protection, you might want something to store it in while not in use whether this is a wooden block or a fancy box to keep out of harm’s way. Speed - With the whole family salivating at the thought of getting their teeth into the juicy, succulent piece of meat on the table you want to get everything carved as quickly as possible. Electric knives are much quicker than the traditional method, but how fast is the real question. Cordless Vs Corded - You’d think with everything being so 21st century that we’d have started to phase out corded appliances, but they’re still here for the next few years at least. With electric knives, this is a good thing, as they offer you a consistent source of power as opposed to relying on a battery. Corded knives do have their downsides, though. Being plugged into the wall, you don’t get as much of a range f movement as a cordless knife would allow. Some knives do offer longer cords (sometimes as long as 8 feet) but if you’re planning on using your knife on the grill next summer this length may not be enough. Q: What Are The Benefits Of Using An Electric Knife? A: There are many, many benefits to using an electric knife, some are obvious, some are not so obvious. Easy to Use - Aside from a cursory glance through the instruction and user’s manual, you don’t need to be a genius or anything close, to operate an electric knife. They also make what was formerly a laborious process of cutting and carving through thicker, tougher cuts of meat a thing of the past. The electric operation takes all of the pressure off your wrist and hand, meaning you can prepare whole meals with ease, without hurting your hand from the thankless task of ensuring everyone’s slice is equal. Super Quick - As well as making it incredibly easy, it makes everything much, much quicker. If you’re one of those families who never seems to be organized despite schedules agreed and everyone around the dinner table at 5 PM sharp, then an electric knife will ensure everybody’s stomachs are filled as quickly as possible without any interruption. The blades glide through meat quickly, and any extra time that would normally be taken up cutting through just one piece of food can be used for cutting even more, or even better, enjoying the meal you’ve worked hard on along with everybody else. (Almost) Unlimited Power - As strong and burly and manly as you might think you are (and you are, we’re sure) you’re no match for tireless electricity. While you may eventually experience some fatigue, this is not something you’ll find with an electric knife. Some of these knives operate at over 100 volts, which we as mere mortals simply cannot compete with. The only thing stopping you would be a power outage, and even then, they work so quickly that you’ll likely be finished, anyway. Much Safer - We’ve all had some kind of nasty, kind of brutal knife injury cutting and carving before. Typically, it’s never as bad as it looks, but it’s still never nice to see the skin splitting open and blood oozing out (and we apologize to the squeamish readers for giving you that image). 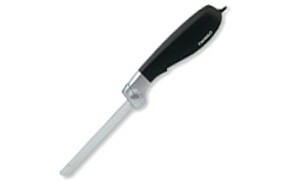 Electric knives come with safety options that you just don’t get with conventional, non-electric knives. Furthermore, because of the increased torque, the blades themselves do not have to be as sharp as what you’d find in your traditional kitchen cupboard, making them safer for you, but even safer for the kids. Q: What Is The Best Knife To Cut Brisket? A: Everybody loves a brisket, or at least, almost everybody loves a brisket, which is an excellent choice for pretty much any occasion. While we’d love to give you the low down on which is the best knife to cut brisket, we can’t. Not because we don’t want to and definitely not because we don’t care, but instead merely because we don’t know you. For all we know, you might have a certain approach to cutting brisket, you might have a system, a secret, family system that’s not for our ears. What we can tell you, though, is what to look out for in a knife where your primary concern is cutting brisket. Due to how delicate the serving of brisket can be the way you go about slicing it will massively affect how successful it is. What you need to look for is any knife that holds its edge longer than your average knife. A knife with either a serrated or Granton edge is also a must, for obvious control and slicing reasons, and should be considered well above any other type of type that you might even think of selecting. The majority of the electric knives we’ve selected are arguably ‘dedicated’ brisket knives, so this shouldn’t be an issue when the big BBQ bonanza comes around, and you’ll not leave your guests feeling like they'd have rather gone to KFC or something. Q: What Is The Use Of An Electric Knife? We should remind you that an electric knife is not like a mini chainsaw, so please don’t try and use it for anything it cannot handle - such as trimming branches or even trying to cut down your neighbor’s obstructive front yard tree, that’ll land you in a whole world of trouble. Don’t say we didn’t warn you.